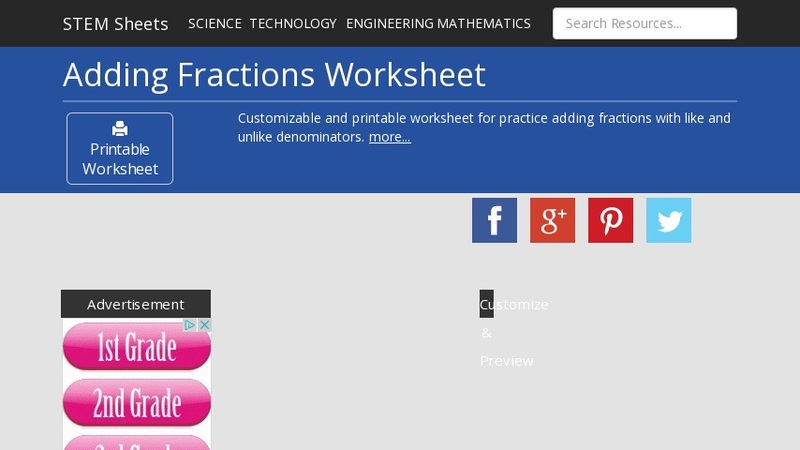 A customizable and printable worksheet for practice adding fractions with like and unlike denominators. Choose the number of problems, range of denominators, and more. Includes a matching answer sheet with each PDF.